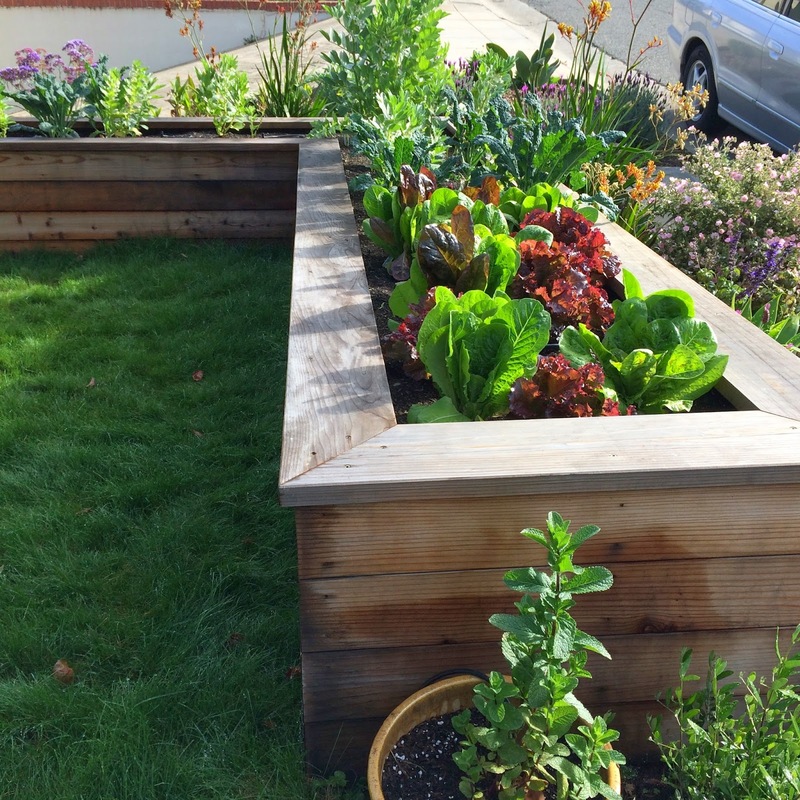 This Oakland Victory garden was installed in 2013. 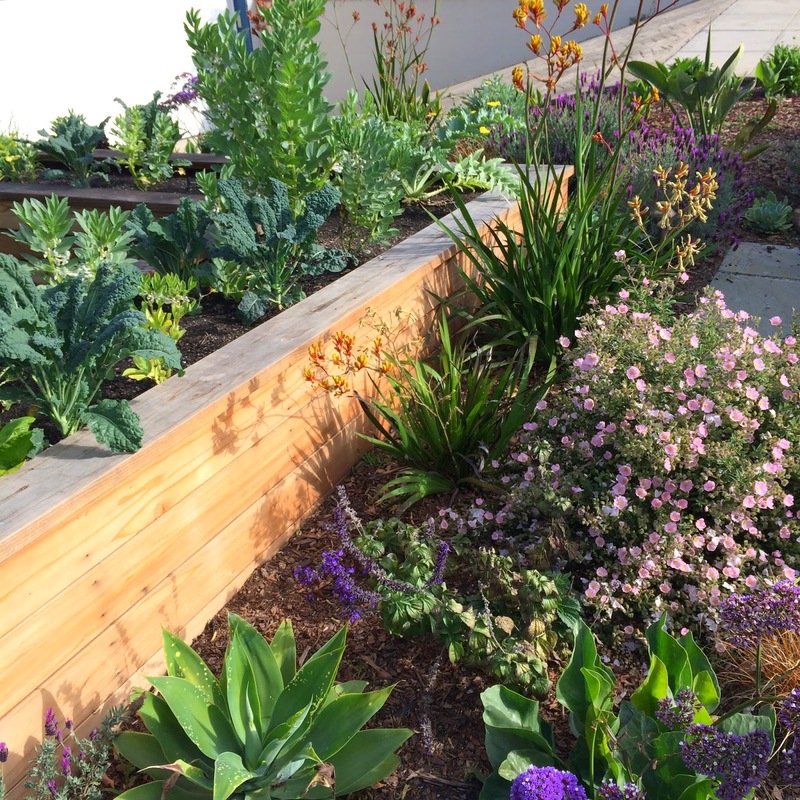 The drought tolerant and low water plantings surround and 'L' shaped veggie bed encouraging pollination for edibles. 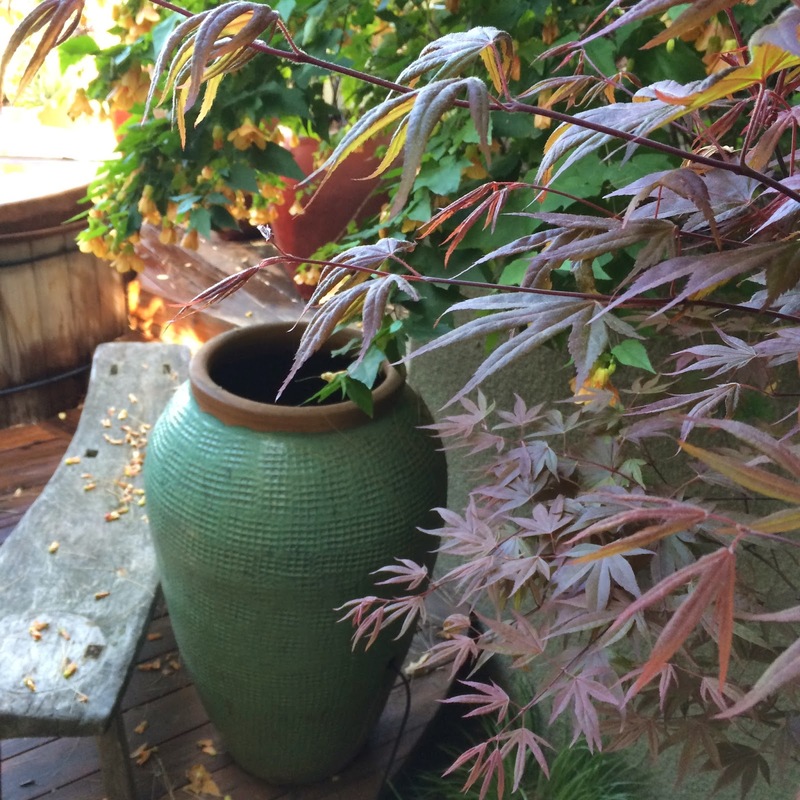 See Eastlake Ave on the Fiddlehead Gardens Project page for details. 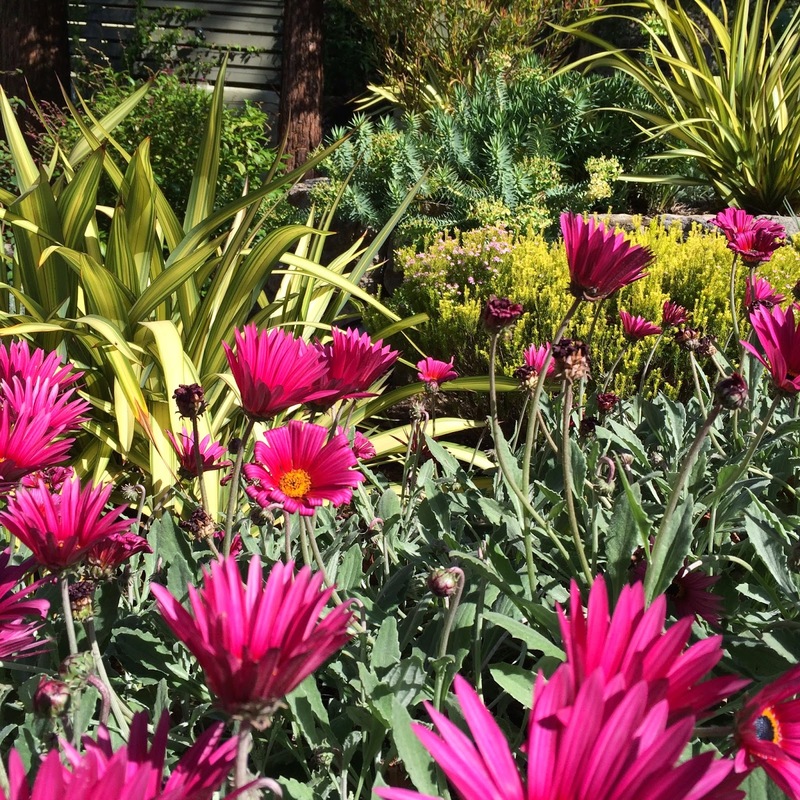 Edibles abound in this raised bed with perennials on one side and a low water lawn on the other. 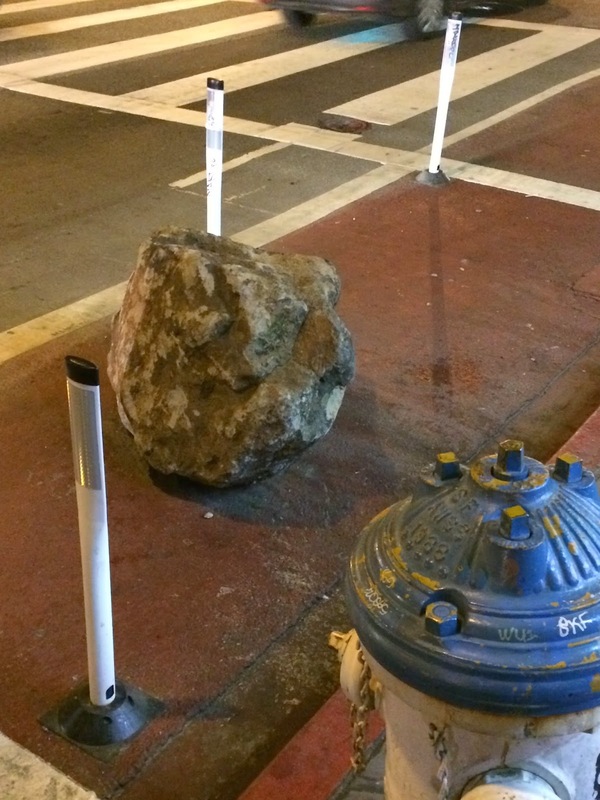 After dinner in San Francisco one evening I came across this lonely stone looking for a home. It is randomly sitting at the edge of a cross walk at Harrison and 7th Streets. Be sure to look both ways before crossing!